According to The Sunday Telegraph, Begum worked for al-Hisba, enforcing the terror cult’s strict dress code at the point of a gun. Sources told the British paper that Begum carried an AK-47 and had a reputation as a strict enforcer. The 19-year-old ran away from her London home at the age of 15 to join the jihadi terror cult. 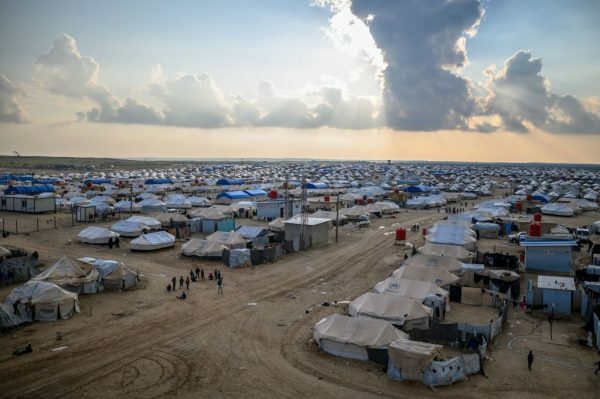 She surfaced in a Syrian refugee camp in February after escaping, along with other jihadi brides, from the last ISIS stronghold as it crumbled under the pressure of the allied forces. Begum made headlines when she pleaded to be allowed to return to the UK, despite expressing no regret about joining ISIS and equivocating about terror attacks on British soil. British authorities stripped her of citizenship and blocked her return, sparking a legal challenge by her family. The Daily Mail also alleged Begum helped sew suicide bombers into their explosive vests. This was allegedly done in such a way that if the attackers tried to take off the vests, they would blow up. The information was reportedly found by allied spy agencies during interviews with other Western ISIS converts. It’s unknown whether Begum participated willingly, or whether she was coerced. Begum’s initial unrepentant posture about joining ISIS drew online fury. Speaking to The Times of London in the al-Roj refugee camp in Syria on April 1, Begum said, “I do regret having children in the caliphate” and appealed to British authorities to be allowed to return to the UK. After running away from home in 2015 to join ISIS in Syria, she married a jihadi recruit from Denmark. Begum’s husband, Yago Riedijk, joined ISIS in 2014 and married her a year later when she was just 15 years old. They had three children, all of whom are dead. Heavily pregnant with her third child, Begum surfaced in a Syrian refugee camp in February after fleeing the battle-scarred Baghouz. There she gave birth to a baby boy, who died on March 8. Begum’s interview with The Times was the first time she’s admitted to having been radicalized. “When I first came out of al-Dawlah [ISIS], I was still in the brainwashed mentality: I still supported them because of what they told me and what they taught me,” she told the publication. 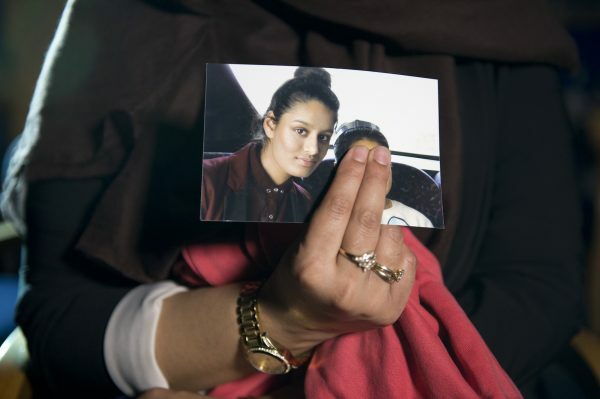 In her first interview in February, Begum said that while she did not agree with everything the terror group had done, she had “no regrets” about joining ISIS and suggested that air strikes against the terror group in Syria somehow “justified” the Manchester Arena terror attack. She told The Times in the most recent interview that besides being in the grip of a jihadi ideology, she also felt pressured not to speak out against ISIS in earlier talks with journalists. Begum’s return to Britain was blocked by UK authorities on grounds of her posing a security risk. Survivors and other victims of the murderous cult’s reign of terror, meanwhile, are furious at the prospect of ISIS women getting a sympathetic hearing in the Western press, or worse—a free pass. Ali Y. Al-Baroodi, who survived ISIS’s bloody occupation of Mosul, told The Jerusalem Post that claims on the part of jihadi brides that they were “just housewives,” as Begum has insisted, are not credible. Author and academic Idrees Ahmad wrote in reference to Begum, according to the Post: “It’s impossible to muster sympathy for her.